Impress your clients with professional landscaping for your business premises. When important clients and visitors are coming to your business premises, you want them to see a neat, clean and beautifully maintained outside space that’s well-designed and finished to perfection. It’s important to create the right impression before your potential clients even enter your building, and good landscaping can create that excellent impression for you, before you’ve even said a word. 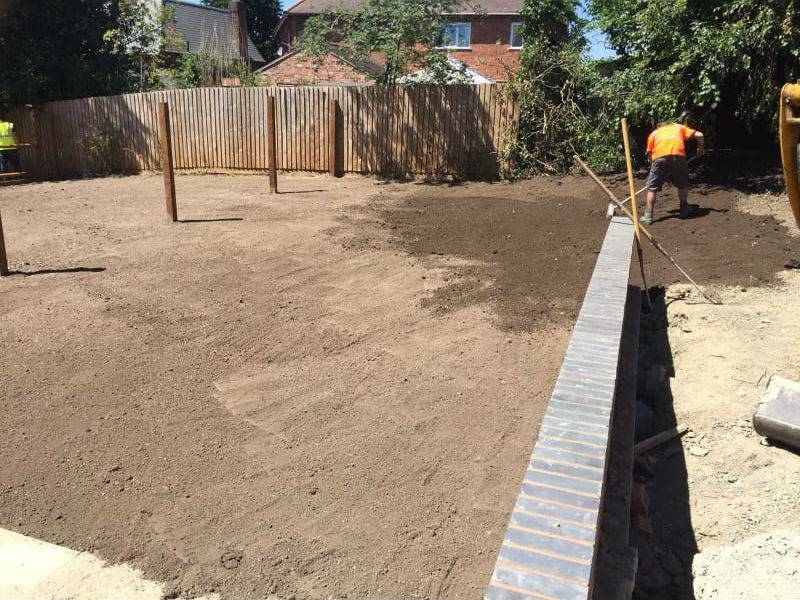 Our experienced team can level the ground or build up banks, lay your grass – either real or artificial – for you, design and lay out walkways with lovely stone flags or other materials, build new kerbs and create superb designs with our planting. We’ll visit your site and take a look at what needs doing, before discussing your preferences and design ideas. Then we’ll give you a free, no-obligation quote, including all costs, with no hidden extras. Once you accept the quote, we’ll get to work and create a neat, well-designed and laid out space that you can be proud of. Call us on 07714 489 618 to discuss your landscaping project. We can level off your site and build up new verges, including laying either real or artificial grass. Our professional team can design and lay pavement and flags to create walkways from building to building. We can build new kerbs for your outside space or repair and restore your existing ones. When we’ve landscaped your space, we can create borders and beds, and plant out for you.